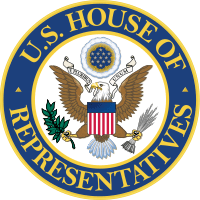 Today Rep. Steve Womack (R-AR) and Rep. Jackie Speier (D-CA) introduced before Congress the Marketplace Equity Act (HR 3179), a bill that, like the Main Street Fairness Act, authorizes state to require all online retailers, regardless of location, to collect state sales tax. The introduction of the Marketplace Equity Act is a sign that more and more legislators are becoming aware of the problems inherent in the fact that while bricks-and-mortar retailers have to collect sales tax, online retailers do not. We’re happy to see that Washington DC legislators are listening to state and local legislators—not to mention their constituents—and are working hard to offer possible solutions. Although the Marketplace Equity Act differs in some details from the Main Street Fairness Act, the two bills have the same goal: to ensure that states can enforce existing sales tax laws in cyberspace by requiring online retailers to collect sales tax. The very fact that two bills with this goal exist emphatically demonstrates how much they are needed. Communities need sales tax revenue to pay for schools, police, and libraries, and local businesses are at a disadvantage when they try to compete with online retailers that don’t have to collect sales tax. By allowing states to require online retailers to collect sales tax, the Marketplace Equity Act and the Main Street Fairness Act stand to return to states over $23 billion in uncollected sales tax. They will also create a level playing field for local retailers, which create three times as many jobs as online retailers. We welcome Reps. Womack and Speier and their cosponsors to the fight to ensure that all retailers play by the same rules, and we look forward to working with them. According to a report released last month by Lansing-based Public Sector Consultants, the sales tax loophole has a significant negative impact on job makers and the state’s economy. The study found that closing the loophole would directly lead to the creation of as many as 1,600 new jobs, would increase investment in Michigan’s economy in the form of sales at brick-and-mortar retail outlets by as much as $126 million per year and would save the state as much as $141.5 million in otherwise lost sales tax revenue from electronic remote sales in 2012 alone. A customer goes into a local business to check out a product. This person finds a computer, makes an online purchase of that same item and avoids paying the sales tax. Is that fair to a North Dakota brick-and-mortar business that employs our state’s citizens, invests in the community and helps drive the local economy? I don’t think so. That’s why we need The Main Street Fairness Act. This legislation will close the loophole that gives online retailers a competitive advantage over the local businesses. Some shoppers look over a product at local stores and then buy it online in hopes of avoiding the sales tax, Alpine said. Stores end up being treated like a showroom. “It needs to be an equal playing field,” he said. “Without a doubt this is an enforcement issue that ultimately can only be fully resolved if the federal government weighs in,” state Rep. John Legg, R-Port Richey, said in an email. We were fascinated by a new Reuters article that focuses on states’ loss of revenue due to uncollected online sales tax. On the state level . . . financial pressures seem to have erased partisan division on the issue. Texas’ majority Republican legislature passed its legislation, and California’s measure had support from both parties. Cornett says the $10 to $15 million a year his city loses on uncollected taxes equates to between 100 and 150 firefighters or police. He says he’s making progress arguing that these are taxes already owed, not new taxes. “Now you find conservatives in Washington who understand this is closing a loophole, it’s not a new tax,” says Cornett. Granted, that figure applies only to Oklahoma City, but it does give us some idea of just what we lose when online retailers don’t collect sales tax. Consider, too, that the 100 to 150 firefighters or police officers that sales tax would have paid for isn’t only a loss to the community, as important as that is. It’s also a loss of new jobs at a time when they are desperately needed. If Oklahoma City had had the $10 to $15 million a year that it’s due in uncollected sales tax, it could have created 100 to 150 new jobs. Nationally, the cost of running local government is rising faster than tax revenue. Sinking property values are hurting real estate tax collections. Stagnant salaries have kept income tax flat in the states which impose one. Oklahoma’s cities rely on sales taxes for 55 percent of their budget on average. In some places, sales tax covers more than 90 percent of the local budget. Arkansas municipalities rely on it heavily too, for close to 50 percent of their income from sales taxes. Slack receipts have driven 15 Arkansas cities to institute sales tax increases so far this year, according to the Arkansas Municipal League. These figures are revealing, particularly when you consider the fact that sales tax revenue has been declining for the past decade, due mainly to the increase in online shopping. Add up these three facts—sales tax provides at least 50% (in some places, up to 90%) of city or municipal income in Oklahoma, Arkansas, and Texas; sales tax revenue has been declining for a decade; and in this economy, other sources of revenue, such as income tax and property tax, are also declining—and it becomes clear why 15 Arkansas cities had to raise sales taxes this year. If online retailers were collecting the sales tax that’s already due, those increases would not have occurred. Near the beginning of the article, Mick Cornett, mayor of Oklahoma City, directs a plea toward Congress: “We need help at the federal level. . . . There’s a limit to what we can do [locally].” If Congress is paying attention to what its counterparts at the state and city level are saying, not to mention to the needs of Americans for new jobs, firefighters, and police, the Main Street Fairness Act should pass soon, by a wide margin. We’ve been looking at the recent editorials and news articles on online sales tax collection, and we’re encouraged to see that most of them are in favor of it—a position that we’ve long argued to be practical, sensible, and simply right. No one likes paying taxes. They are, however, necessary to keep a city and state running. You might not like a sales tax, but you certainly like good roads. If we’re going to have taxes, it is imperative that everyone pays their share. For years, some shoppers have been skirting local and state sales taxes by purchasing items online that are available locally. That is not fair to those who support local businesses and keep their cities running with local sales taxes. . . .
States and cities . . . need the income that they have coming. Local merchants, who choose to do business here and employ Tulsans and spend their hard-earned money with fellow local merchants and pay their sales taxes, deserve a level playing field. Studies show that states are losing about $23 billion annually in sales taxes. The tax is legally due on purchases but goes uncollected because the seller is not required to collect the tax and the purchaser fails to report and remit the tax due. This situation creates a huge disparity and an extreme disadvantage for our main street retailers who are competing with retailers selling over the Internet or by some other remote means. . . . The Main Street Fairness Act addresses the issue of fairness and levels the playing field for all retailers. . . .
Cities, counties and state government rely on sales and use tax revenue to provide services to our residents and to build and maintain a high quality infrastructure for the businesses operating here. The Main Street Fairness Act is an important bill for the retail industry and states—it provides for fairness across the retail industry while permitting individual state sovereignty and supporting a fair sales tax system. . . . The proposed legislation will go a long way to support and encourage growth in our local North Dakota businesses along with main street retail industry across the country. We encourage Sens. Kent Conrad and John Hoeven and Rep. Rick Berg to sign on to the legislation and support it when it comes up for a vote. Main Street retailers, the backbone of America, stimulate local economies, build communities and provide good, stable, local jobs. In July retailers added 26,000 jobs to the national economy. However, these jobs are being threatened by online retailers fighting to preserve an unfair price advantage of 6% over brick-and-mortar stores in Michigan. . . . In today’s marketplace, the shape of commerce is changing, but the rules remain stuck in 1992—well before the era of the iPad, smart phones and even home Internet access. Online-only retailers are exempt from collecting sales tax at every point of purchase. . . . Many consumers are often unaware that the tax on online and catalogue purchases already exists. When an online retailer fails to collect the sales tax, it falls to the consumer to report that tax directly to the state, which is often not done. The Center for Business and Economic Research estimates that this year Michigan will lose more than $125 million in revenue due to the Internet sales tax loophole. As legislators grapple to fill budget gaps, this revenue would go a long way toward adequately funding essential public services: paving roads, keeping police and firefighters on the job, and providing our children with a quality education. States have been compelled to take action in the absence of a national approach to sales tax collection. But a possible solution is the Main Street Fairness Act, introduced in Congress in July. The bill is designed to grant states the authority to set up a simple and equitable system of tax collection on remote sales and, ultimately, the ability to collect these taxes at the point of purchase. . . .
We need a 21st Century framework to ensure a marketplace that benefits online retailers in addition to brick-and-mortar retailers, who provide good local jobs, support our communities and drive America’s economy. Our country is overdue for a national solution to the issue of sales tax collection. For Maryland, collecting sales tax on Internet purchases could yield additional revenue estimated to be in excess of $200 million annually, which the state sorely needs to bring budgets into balance given the lagging condition of our local economy and continued structural deficit. Without this revenue, which is rightfully owed to the state, programs such as Medicaid, K-12 education and our transportation infrastructure needs will be unmet without additional tax increases. . . .
More importantly, though, such a policy change would level a slanted playing field for bricks and mortar retailers who invest in our local communities and currently charge and collect taxes on sales via the Internet. . . .
Moving forward . . . our federal representatives and Congress as an institution should end this debate and do what’s right for state governments and more importantly for countless mom-and-pop retailers that serve as the backbone of our nation’s economy. Legislators hope a newly proposed online sales tax bill will equalize what they consider an unfair playing field between Web retailers and small businesses. . . .
Michigan would save up to $141.5 [million] in lost sales tax revenue if the [state] bill becomes law, improve sales at brick-and-mortar retailers by as much as $126 million and create up to 1,600 jobs, according to a report from the Lansing-based Public Sector Consultants. A 6 percent disadvantage when it comes to sales taxes makes a large difference in the long run, he said. . . .